Close to $1 billion in funds meant to finance global climate-mitigation projects is going toward the construction of power plants fired by coal—the biggest human source of carbon pollution—according to an Associated Press investigation. The findings underscore the lack of rules designed to steer the United Nations’ ‘climate finance’ initiative, through which rich countries funnel money to poor countries to help tackle global warming, Karl Ritter and Margie Mason wrote for the AP. The news outlet reported Monday that Japan, a top contributor of so-called climate finance, gave $958 million to help build three coal-fired plants in Indonesia—plants they said burn coal more efficiently than older facilities. 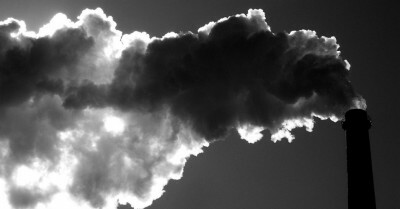 “However, they still emit twice as much heat-trapping carbon dioxide as plants running on natural gas,” the AP noted. “Villagers near the Cirebon plant in Indonesia also complain that stocks of shrimp, fish and green mussels have dwindled. Japanese Foreign Ministry spokeswoman Takako Ito maintained that for countries “that cannot afford to have other methods than coal,” so-called ‘clean coal’ technology may be the best option. UN climate chief Christiana Figueres, who was unaware that the Japanese-funded coal plants in Indonesia were labeled as climate finance, said “there is no argument” for supporting such projects with climate money. Even the newly launched Green Climate Fund, a key channel for climate finance in the future, still only has vague guidelines on how to spend the money. Board member Jan Cedergren said he didn’t believe the fund would support fossil fuels but acknowledged no decision has so far been made. Earlier this year, when 24 members of the Board of the Green Climate Fund met at that body’s headquarters in Songdo, South Korea, a coalition of more than 300 international civil society organizations urged against including dirty energy in climate finance agreements. Environmentalists are hopeful that this week’s climate talks in Lima will push governments to consider climate finance as a vehicle for a paradigm shift—rather than as merely a short-term solution.